The San Francisco Bar Experiment | Can one person drink at every bar in San Francisco? 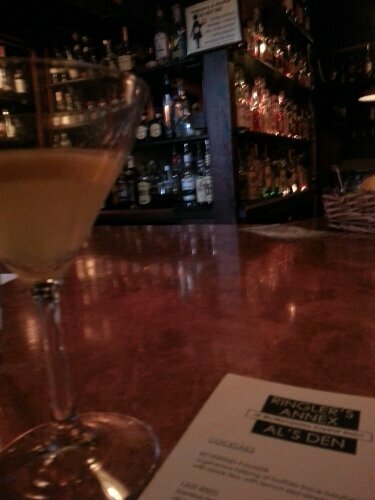 The San Francisco Bar Experiment Can one person drink at every bar in San Francisco? The book is done! You can buy it here! (Link is fixed.) Thank you again to everyone who backed my project! I have another one in the works! Sour beers are full of flavor with a refreshing tang replacing the more usual bitterness of hoppy ales. If you aren’t sure where to begin with sour beers, ask the barkeep of any bar with a good beer list for a recommendation. 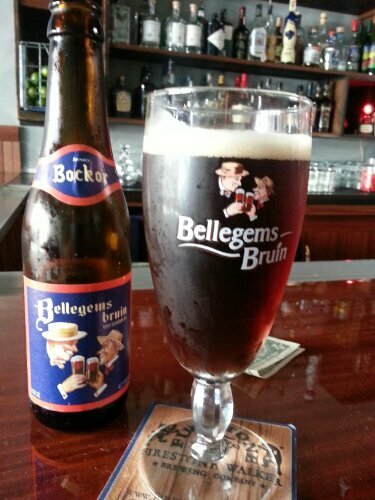 Hi-Lo Club on Polk Street has several great options, including Bellegems Bruin pictured above. The Jug Shop on Russian Hill has four glorious shelves of sour brews, including Pink Drank, an aged sour beer from Oakland made with cherries that has a complex, woody/sour taste. This year’s unusually sunny and warm weather in San Francisco is making me crave tropical cocktails. Since Smuggler’s Cove isn’t open for breakfast, (I’m a big fan of eye-opener cocktails on the weekends,) I came up with a tiki cocktail of my own that is easy to make and refreshing on hot days. Muddle the preserves and apricot in a cocktail shaker. Add all other ingredients plus ice and shake until frothy and chilled. Serve with an apricot slice garnish. One of the bartenders at Hi-Lo recommended The Last Word to me the other night, and I had forgotten what a lovely, bracing drink it is. 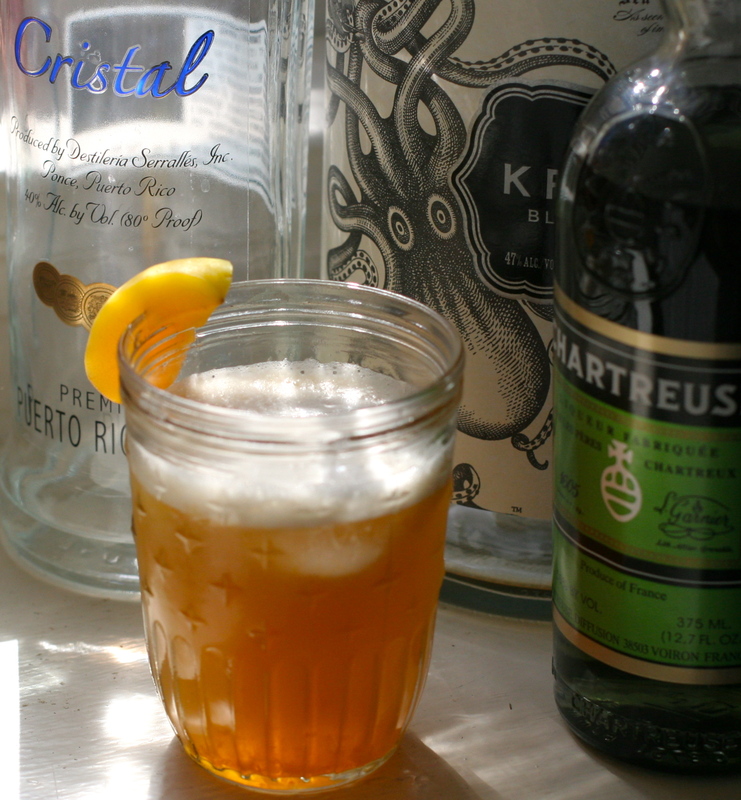 I decided to make one for myself this morning, as the invigorating nature of the drink makes it a great eye-opener cocktail. While The Last Word usually calls for lime juice, I only have lemons on hand. 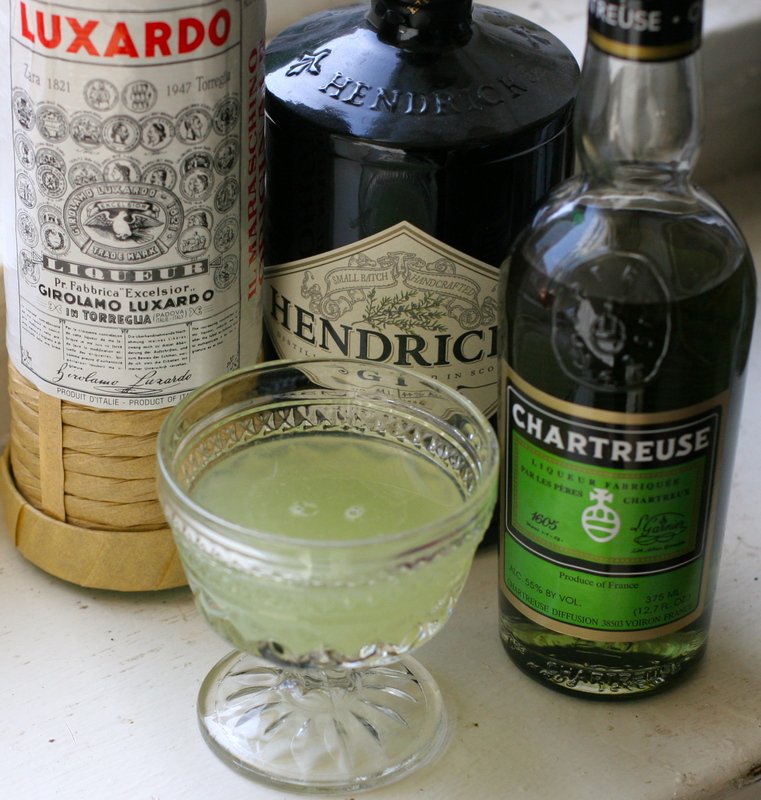 I have to say the difference is barely noticeable underneath the assertive herbiness of the Chartreuse. Shake all ingredients with ice until very cold and strain into a cocktail glass. I never knew what to do with rhubarb before I started putting it in cocktails. This Spring, like the one before and several before that, I made a rhubarb-strawberry gastrique to use in drinks. While gastriques are heavy on the vinegar, the final flavor isn’t identifiable as vinegar. The vinegar simply takes all of the other flavors up to 11. The gastrique is easy to make: one cup sugar, half cup water, half cup vinegar (I used apple cider.) Bring everything to a boil, add in chopped fruits, vegetables, and/or herbs, and simmer for ten minutes. Strain out solids before using. Shake all ingredients with ice in shaker until very cold. 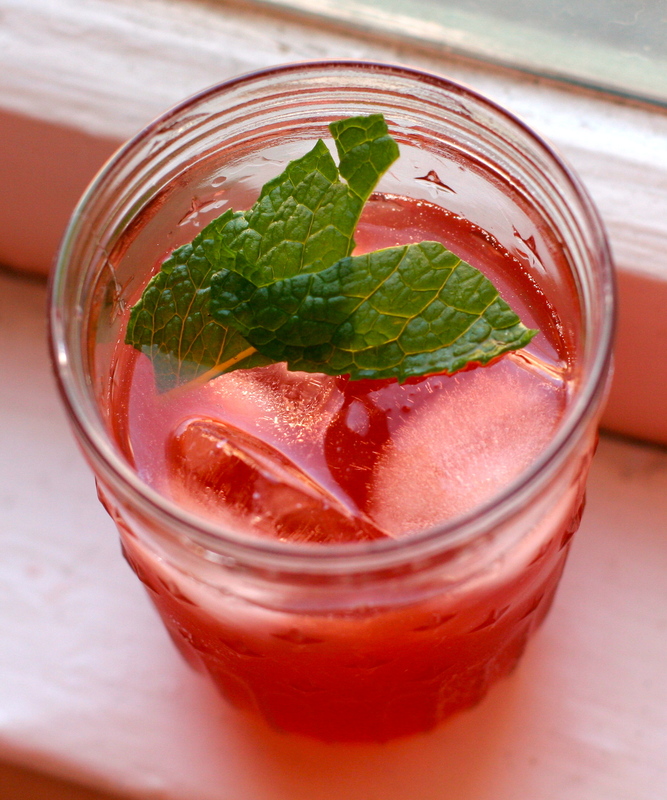 Strain into an ice filled glass and garnish with mint. I can’t get over all of the amazing patios at bars here. Enjoying this gorgeous Spring weather while drinking a Dukes of Hazzard themed cocktail. 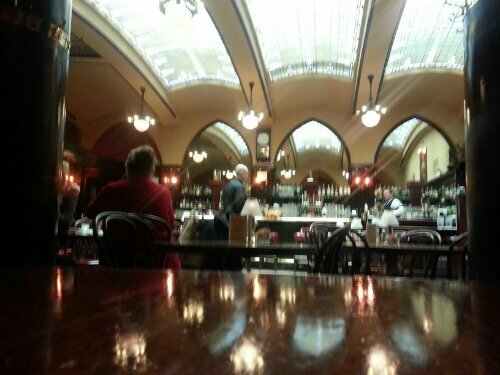 It may be a chain, but McMenamins sure knows how to set up cozy bars. 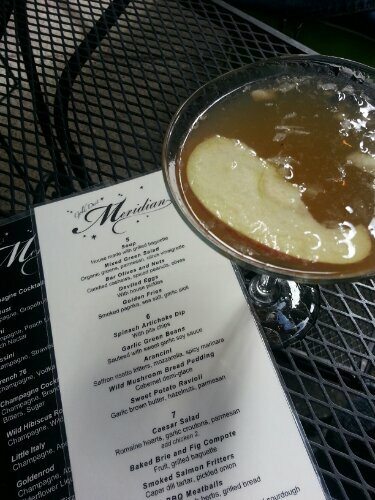 Dark and underground, Al’s features new takes on classic cocktails, including a boozy version of an Arnold Palmer and a Chocolate Old Fashioned. 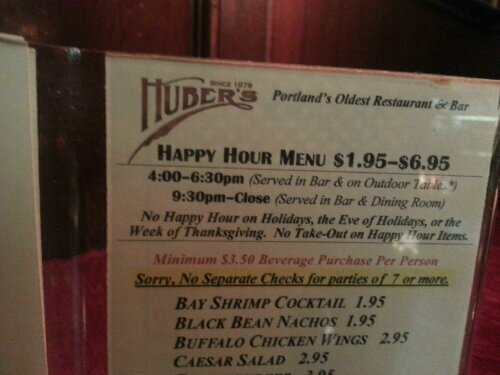 Portland does classic bars right. Bars By Neighborhood/Category Select Category Bars with a pub quiz Bars with Buck Hunter Bars with fireplaces Bars with Patios Bars with pool tables Chinatown Cocktail Recipes Cow Hollow Fillmore District Financial District Fisherman’s Wharf / Ghirardelli Square Hayes Valley Inner Richmond Inner Sunset Japantown Karaoke Bars Lower Nob Hill Mission Nob Hill Noe Valley North Beach Outer Mission Polk Street Russian Hill SOMA Sunset Tenderloin The Castro Uncategorized Union Square Upper Haight Van Ness Western Addition Wild Card!